These dice are run through a single polishing cycle for a specific period of time, a ZucatiCorp exclusive process. This single polish takes off some of the edge sharpness but retains more of the die shape and edge than does our full polish cycle. In addition the contrast between the numbers and the finish is high so even un-inked these dice can be played right away. 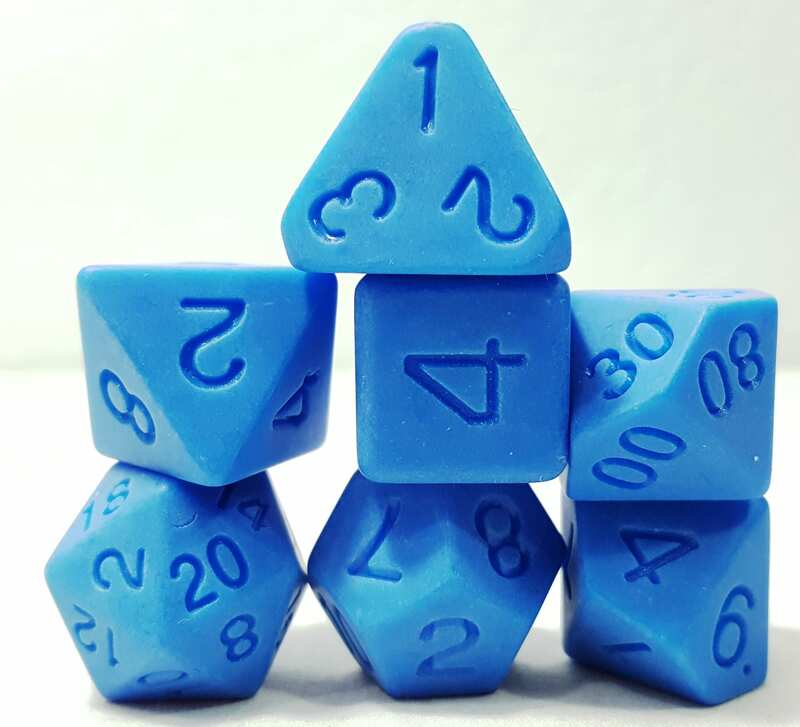 Over time the matte finish will burnish down to a semi-gloss finish that is unique to our ZucatiCorp Perfect Plastic dice and can be found nowhere else. 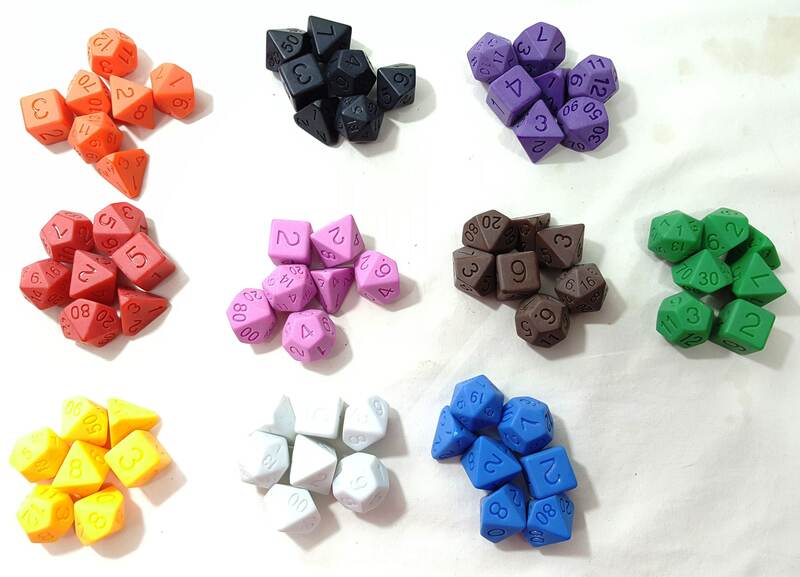 These dice are nice and easy to ink with any color you like and cleanup is super easy. Ink or crayon them in to fill in the numbers, or not. Best precision dice made today as they're the best balanced and most proportional. 10 colors all non-inked available.